Good Morning/Afternoon/Evening. Whenever you came here. I hope you enjoyed my session. This is a placeholder post - I won't get to post my notes until I'm finished speaking. So Saturday or Sunday. Maybe as late as Monday, because I missed Halloween with my kids. If you want - signup here and I'll push a link to my notes. 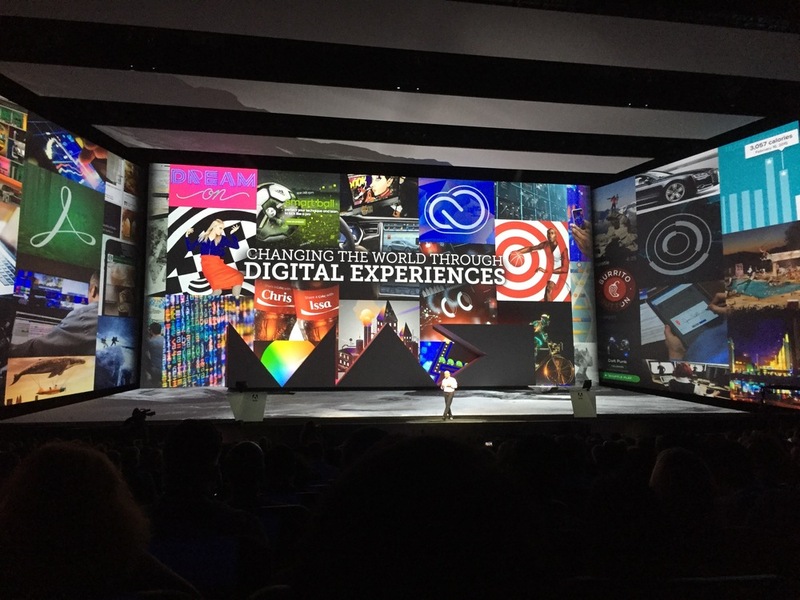 Adobe Video World happens in Adobe's backyard in San Jose.. I've met some great people - and the GenArts night over at Gordon Biersch was loads of fun. Tonight is the expo night. Can't wait. Meanwhile, of course I have more to post, but I wanted to get the notes up ASAP. If you have any pictures of me teaching, I'd sure love them - you can upload them here. WHOOPS! How did I miss this? Here are the notes from the talk about Creating Custom Looks with Transfer Modes. Could not have had MORE FUN being around UGA/Biddle and college students. Being around Wes Plate is always fun and invigorating! And we did one of my all time favorite creative endeavors for film-makers and editors - 15 second movies. Adobe Max is absolutely one of the best conferences I get a chance to go to. The people, the show floor, the event itself - amazing. Yes, you can email me - yes, you can hire me too :D.
Oh, and if you have a picture of mine - either tag me on Facebook or email me directly - I'd love to have the picture! Here are the session notes.. The first one was getting the most out of FCPX and Motion to improve and take control of Titling. The second was a technique to minimize media headaches in the CS6 Pro video tools in Prelude, Premiere Pro, Photoshop, After Effects, Audition, Speedgrade and Media Encoder. Here is the common media folder from the book (essentially a bunch of folders zipped up in a structure). This technique is from our book an Editor's Guide to Adobe Premiere Pro. 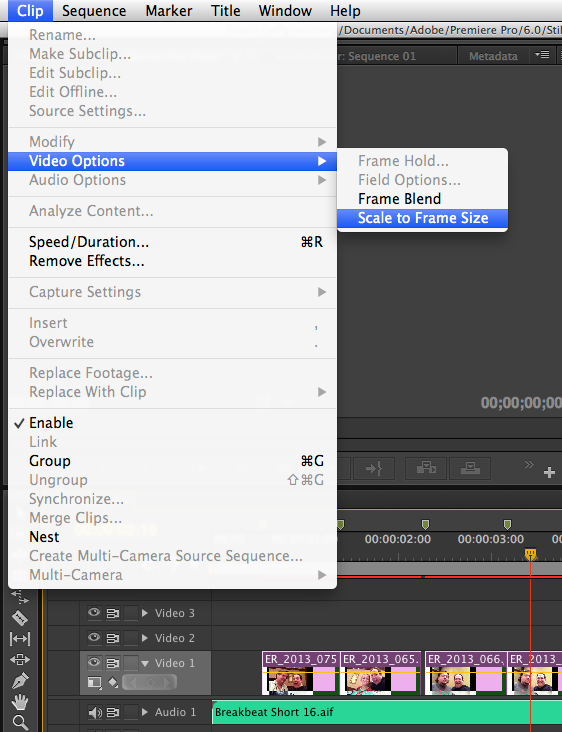 ....unless you select them and choose Clip > Video Options > Scale to Frame size. I love tips sessions - they're always about 'Can I find something really new and powerful that this group doesn't know.' And my goal always is to find at least five items for every person in the room. Since Tips sessions are custom to the room - there are no notes; if you look at your notes and have questions email them or leave them in the comments. The rule is cool/quick/smart about which items I pick. Sure, it might be nice to have insight to the how/why of setting up Adobe Premiere Pro sequences - but that's really a blog post. For example, it's about the idea that you can render faster if someone shows you how to create previews at half resolution. The problem with tip sessions is tips one the one above (which I didn't show) is unique to the crowd. I usually come in with a dozen or so cool tips and let the crowd tell me where they're frustrated/lost with the software. I didn't do the above tip during the session, so I wrote it out below. If you create a sequence preview and switch it's editing mode to custom, you can halve the vertical and horizontal resolutions of your previews in Adobe Premiere Pro. This is only useful if you export Media at the default setting (use previews off.) If you turn this on, you'll screw up your exports. Keep "Use Previews" off if you want to use this technique. Take your Preview size and set it to half - so 1920 becomes 960, 1080 becomes 540 - 960x540. If you're working in 720, that's 640x360. Since we're calculating only 1/4 of the area - your previews will be 4x faster in Adobe Premiere Pro - and this tip works (at least) all the way back from version 5. This only works for preview - never ever for exporting. On Monday, I was speaking at the Adobe CS6 Roadshow in DC. In NYC, DC and LA, there are also special training seminars. These are perfect for an editor who sees the Adobe Production Suite (Premiere Pro, Adobe After Effects, Speedgrade) in their near future. Here are the presentations I gave, as promised. Broadcast centered editing.pdf- this is about adopting Premiere Pro and understanding some of it's feature set that apply to a broadcast environment. Editing faster.pdf- a crash course in editorial in Premiere Pro. Trimming.pdf- Trimming, the adjustment of clip length in the timeline - something that I feel makes and breaks and editorial system (and editor) demystified. If you're going to join us in LA - drop me a line - I might be able to arrange a special present. 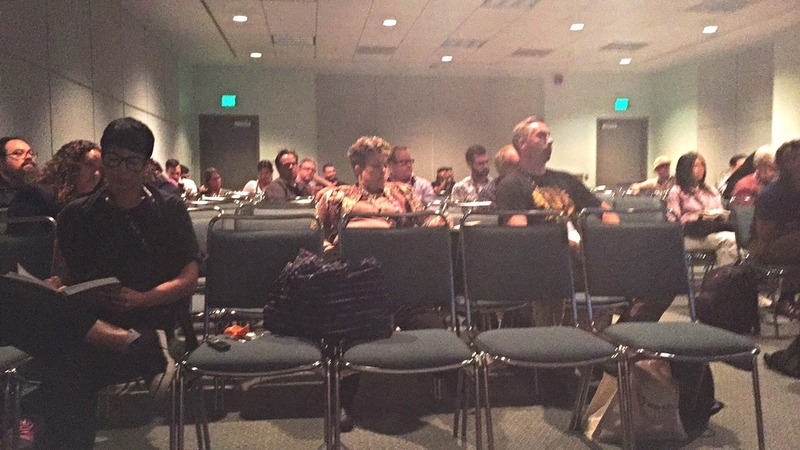 On Tues, I was speaking at the Adobe CS6 Roadshow. This is a great event when it does come to your city; but in NYC, DC and LA, there are special training seminars. These are perfect for an editor who sees the Adobe Production Suite (Premiere Pro, Adobe After Effects, Speedgrade) in their near future. I'll need to update these for the next city, but here were the presentations, as promised. Broadcast centered editing.pdf - this is about adopting Premiere Pro and understanding some of it's feature set that apply to a broadcast environment. Editing faster.pdf - a crash course in editorial in Premiere Pro. Trimming.pdf - Trimming, the adjustment of clip length in the timeline - something that I feel makes and breaks and editorial system (and editor) demystified.